Virox 5 is a one-step disinfectant cleaner based on proprietary accelarated hydrogen peroxide (AHP) technology to deliver fast and effective cleaning performance. 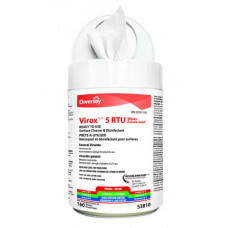 Virox 5 wipes are both virucidal and bactericidal. 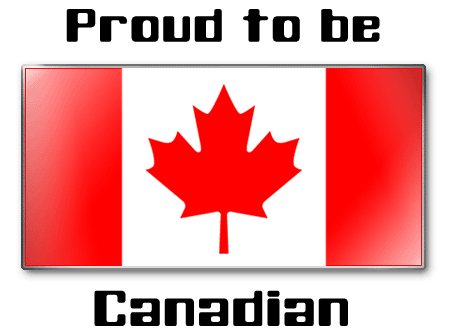 Disinfection requires a five-minute contact time. Also provides broad spectrum sanitizing on hard surfaces in 30 seconds. Virox 5 pre moistured wipes meets bloodborne pathogen standards for decontaminating blood and body fluids. Colorless and odorless. 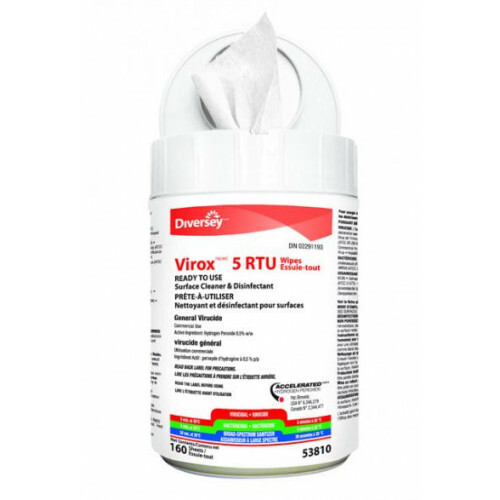 Virox 5 wipes are a rapid, easy and safe solution to disinfect "High-Touch" surfaces.